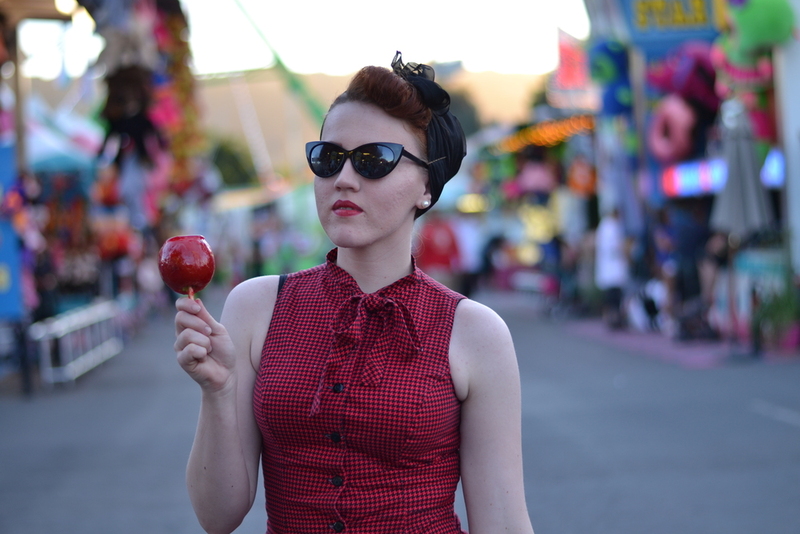 It’s that time of the year again…fair season! Can’t you just smell that cotton candy, fried twinkies, and the sweet smell of those candy apples in the air! 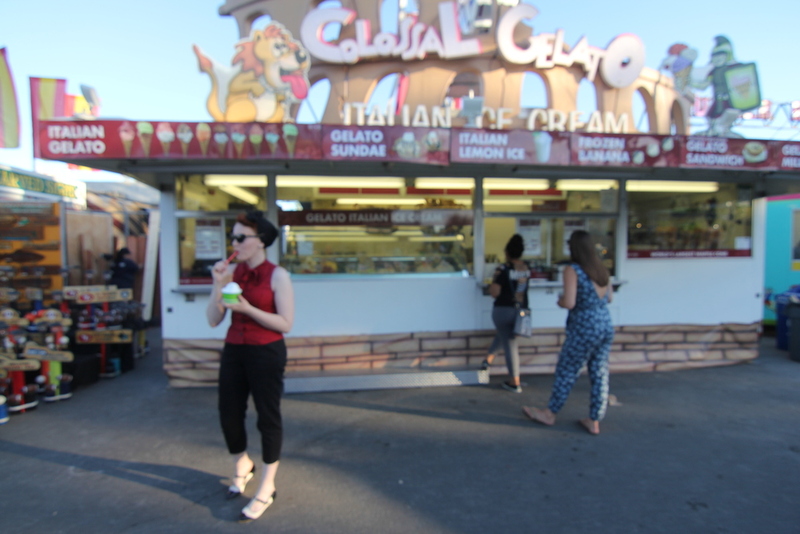 My best memories of the fair, the true reason why I would venture out into the Central Californian heat, would be to circle around a crispy crunchy golden delicious funnel cake with my sisters and dad. This one was made with extra love. 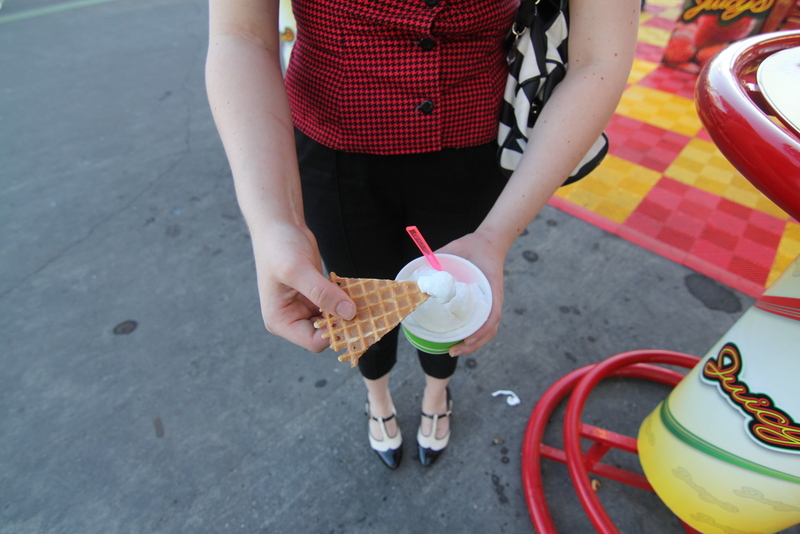 Gelato at a fair. So fancy, wouldn’t you agree? I didn’t get gelato per se, I got lemon shaved ice, which was perfect for a slightly hotter than expected day in the bay! Fair outfit of the day includes (let’s start from top to bottom). 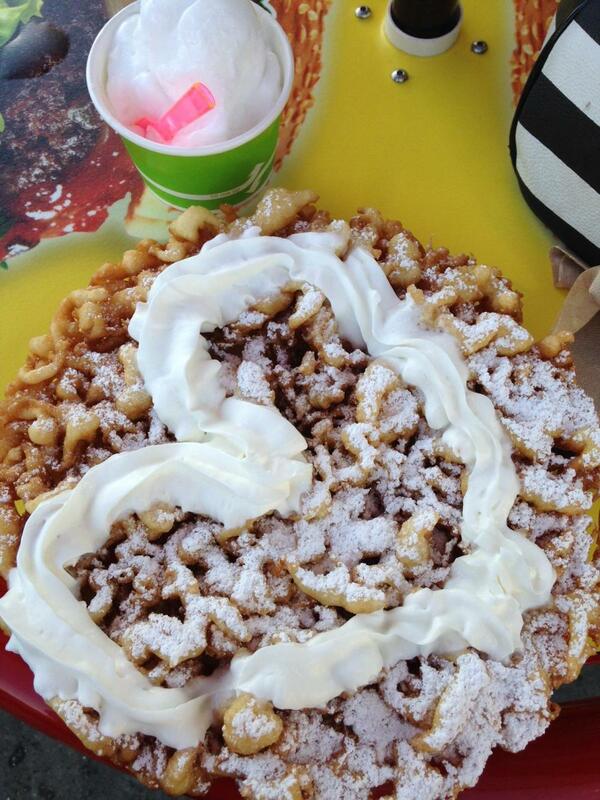 Beware of the Funnel Cake, powdered sugar will get every where! 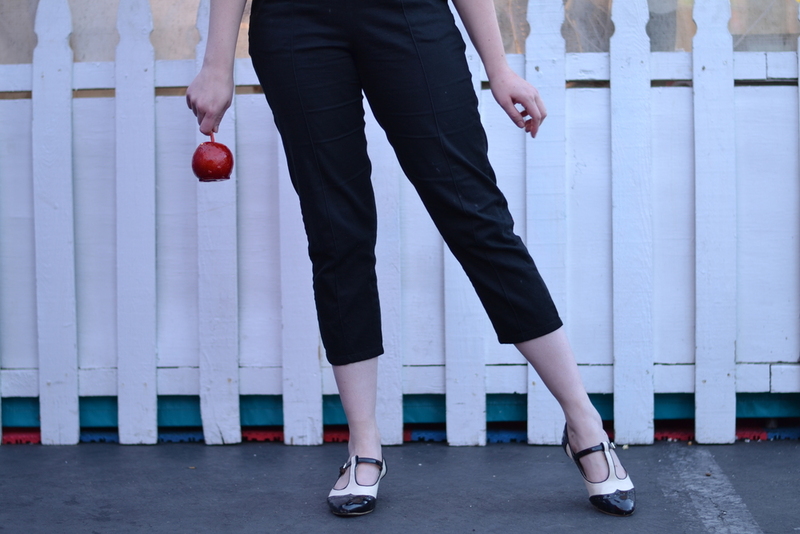 I would love to own all of Pin Up Girl Clothing’s Deadly Dame Capri Pants line. They are the most perfect capri in all of creation. Red is next on my list. THINGS TO NOTE! If you’re going through airport security, the zipper up the back will cause the machine to beep & your identity to be double checked. Whoops! I forgot about that metal part on my trip from Walt Disney World! Have any questions on any particular items?! Let me know! Don’t forget to subscribe here & on the youtubes!